When you think retail in Charlotte, you probably think of SouthPark, Birkdale, Park Road Shopping Center, or maybe the dread you get before you battle the parking deck at Target in Midtown. These are just a few examples of the regional malls, town centers, and strip centers that define retail in Charlotte. You might not know it, but Charlotte played a huge part in the history of retail in the Southeast. In 1959, at the corner of Kings and Charlottetowne (then Old Independence Blvd,) Charlottetown Mall debuted as the Southeast’s first ever enclosed shopping mall. It paved the way for retail for the next 50 years, dominating the suburban landscape with malls and big box stores, leaving urban areas to decay. The internet has made shopping easy and things have changed. Big boxes are dying, stores are getting smaller, and they are moving into walkable urban areas. Retail today is as much about selling an experience, an “instagrammable” moment, a vibe, as it is selling a product. Charlotte might have come of age in the “Mall Era,” but one area is poised to make the transition to being a robust retail neighborhood. 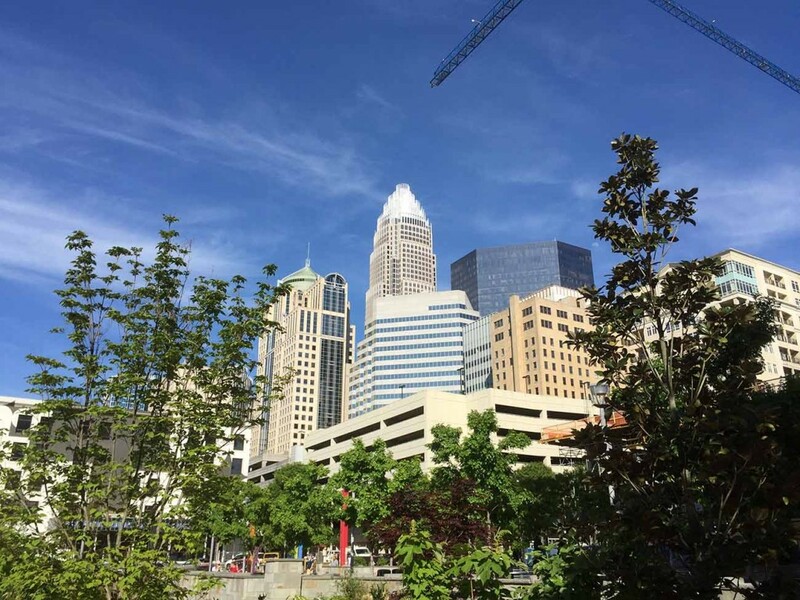 It’s no secret, South End is exploding, and it’s the future of Charlotte retail. The neighborhood is permanently connected by the light rail to Uptown, the largest concentration of high paying jobs in the Carolinas. Plus it sits adjacent to Dilworth and a stone’s throw from Myers Park. Both neighborhoods have a ton of buying power, and there are now 225,000 people living within 5 miles of South End. Between the proliferation of new residential and the recent introduction of Class A Office, South End has more than enough rooftops to support retail. There’s also just enough buildings that are old enough to have a vibe, and be converted into something awesome. 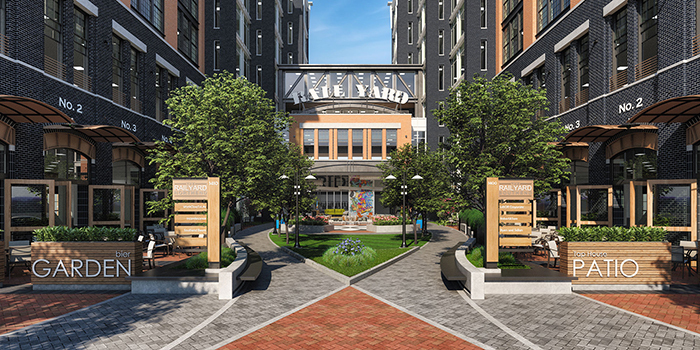 To date, there are around 25 active or planned development projects in South End. 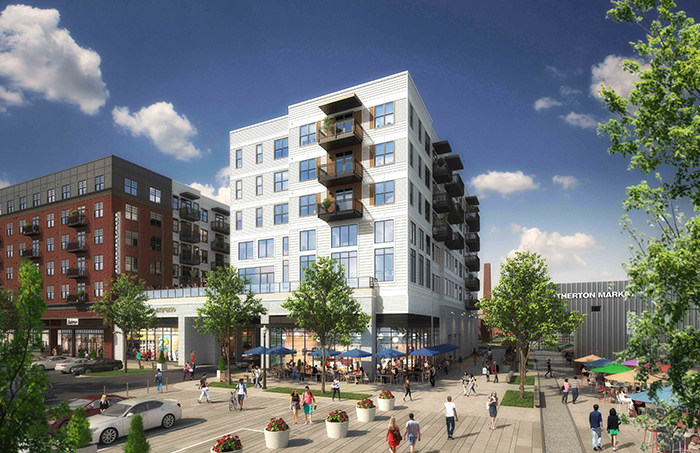 These are the four retail-heavy projects that‘ll help transform South End from a dormitory for young professionals to one of the premiere urban communities in the Southeast. Just like back in 1959, Charlotte has a chance to once again chart the future of retail in the Southeast. When Edens purchased Atherton Mill in 2007, they had big plans for what they felt could be the new center of gravity for South End. They saw the huge footprint — over a quarter of a mile of street frontage — and imagined lining it with shops and restaurants. They wanted to create a special place, that would be the heart and soul of the Dilworth and South End Neighborhoods. 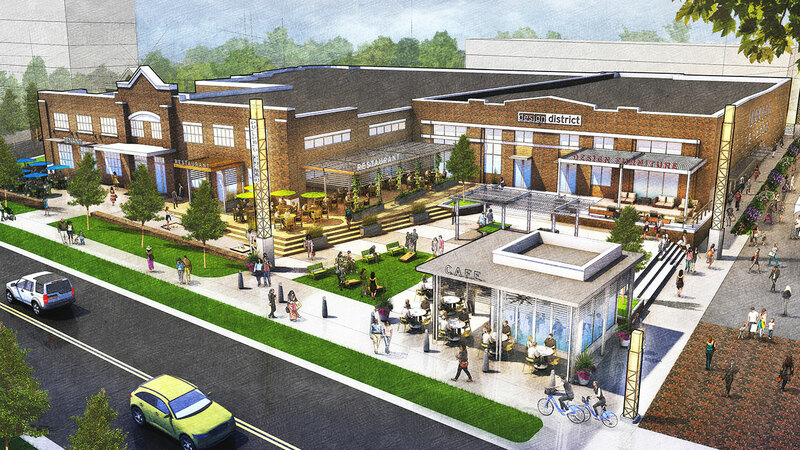 Atherton Mill was the first textile factory ever built in Charlotte, and by August 1st 2019, it will breathe new life as the home of Charlotte’s first robust and walkable urban retail center. Split between the Historic Parks-Cramer Building, and the base of a newly built mixed-use building, the center will offer a great mix of retail. Whether it be food, drink, beauty, home goods or softgoods, Edens seeks to create a mix of retailers that inspires people to spend time exploring what Atherton has to offer. The plan wasn’t always mixed use, but market conditions shifted the project that way. Residential is hot in South End, so topping the shops and restaurants will be an apartment building developed by Crescent Communities. Other than the retail and residential, the pedestrian environment is one of the biggest bright spots for the development. Edens took careful consideration, and their attention to detail shows with their treatment of the Rail Trail, which will integrate seamlessly with the retail along the backside of the development. Cava, Paint Nail Bar, Sephora, West Elm, Indaco, Las Olas, Dry Bar, The Eagle Food & Beer Hall and more to be announced. Atherton is trying to create a place, but in the area around and connected by Camden Road, Asana Partners is trying to create a district — “the Design District.” When Asana opened up shop in Charlotte three years ago, they saw a city without a ton of places you could stroll. Their team saw opportunity in South End and put a vision in place to transform the area into a walkable retail destination. Asana started with a splash, buying the historic buildings that housed the Design Center of the Carolinas. Methodically, over the next few months they began acquiring numerous old and underutilized buildings along Camden, West Tremont, Hawkins and Rampart. Where people saw quirky but uninteresting buildings, they saw opportunity and have been churning out repurposed spaces for popular local and new-to-Charlotte brands. To date, the Design District has brought some heavy hitters to South End including Superica, a Tex-Mex restaurant from James Beard Award-winning chef Ford Frye, and Jeni’s Splendid Ice Creams, a wildly popular scoop shop out of Ohio. Utilizing their team of retail specialists, Asana intends to continue identifying and recruiting interesting and unique tenants to the 335,000 square feet of space they own in South End. In the end, they hope to create a district for strolling in an otherwise car-centric city. Unlike the first two projects, which adapt or add onto historic properties, The Rail Yard is brand new from the ground up. Don’t mistake it for the usual beige boxes that dot the landscape in South End though; it exudes the architectural charm of Historic South End with a modern twist. 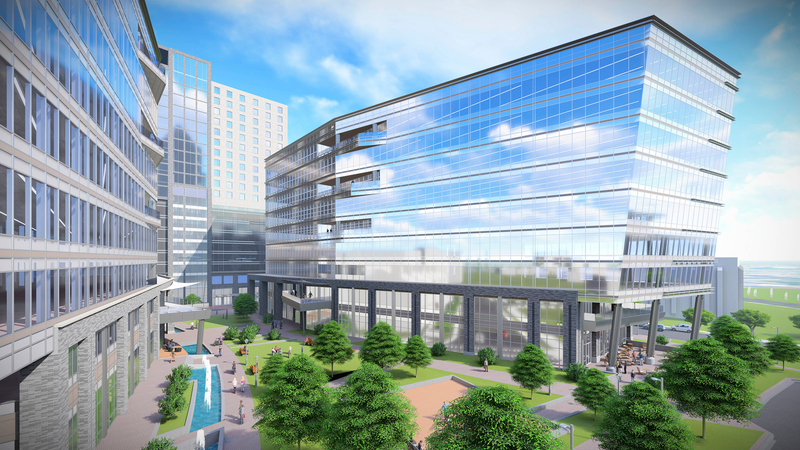 The twin office towers rising at the corner of South Tryon and Bland will bring much needed office space to South End, as well as new and exciting food & beverage concepts. The two masonry, glass and ornamental steel buildings will rise around a central green space, lined on all sides with outdoor dining opportunities. When I spoke to Charles Thrift, who is in charge of retail leasing for this project, he talked passionately about the strength of the South End submarket. It was his belief that South End, as a retail market, was starting to catch up with South Park, the premiere retail district in the state. The RailYard has seen a ton of interest, and I fully expect the retail to be fully leased on opening day, in early 2019, with spaces opening up over the course of the year. Thus far, only Rhino Market has been announced, but the additional retail mix is likely two full-service restaurants, one fast casual restaurant and a coffee shop. On the corner of Carson Blvd and South Tryon, The Spectrum Cos. is planning the new gateway between Uptown and South End. The centerpiece of this project are two nine-floor twin towers, featuring 220,000 square feet of office space, each built with a unique cantilevered diagonal front facade literally leaning into Uptown. The interior facades radiate away from a large public green space, maximizing views in not just the office tower, but the centrally placed 200 key boutique hotel that‘ll accompany this project. On the ground level of all three towers will be 40,000 square feet of total retail. Since no shovels have hit the ground on this project yet, there’s still a lot of details to be announced. I’m not going to be able to share any tenants today, but I can share the vibe. Spectrum is perceptive and committed, and are being very selective with who they lease space to. Retail will face every street, as well as the one acre central green, and along the private “festival street” planned running between the office and hotel buildings. They want to fill these spaces with unique and creative tenants that reflect the vibe and authenticity of South End. Steve McClure, Chief Operating Officer at Spectrum paints a vibrant picture of the future of South End. He believes, the neighborhood has the chance to be one of the premiere Live, Work, Play communities in the South East. They want to build retail spaces that have a synergistic relationship with the neighborhood from a environmental, and experiential perspective. This story is just the beginning. All over South End there are new developments planned or under construction with retail. 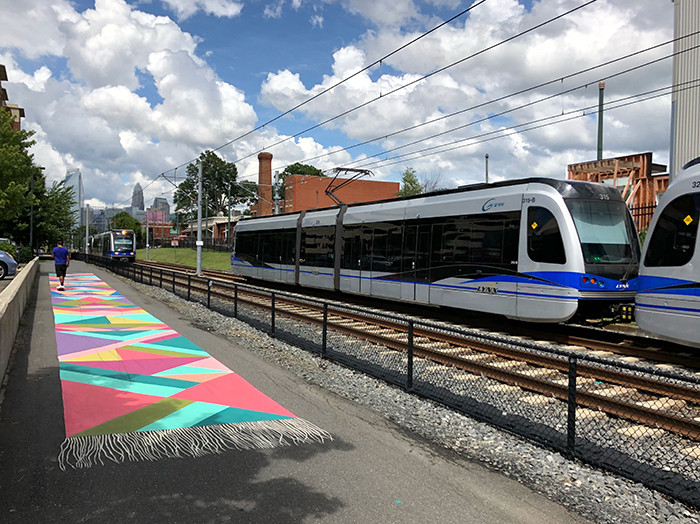 Over the next few years South End will add the equivalent of Park Road Shopping Center worth of retail, and if everything pans out as planned, there will be new retail lining stretches of South Blvd, West Tremont, South Tryon, The Rail Trail and Camden.